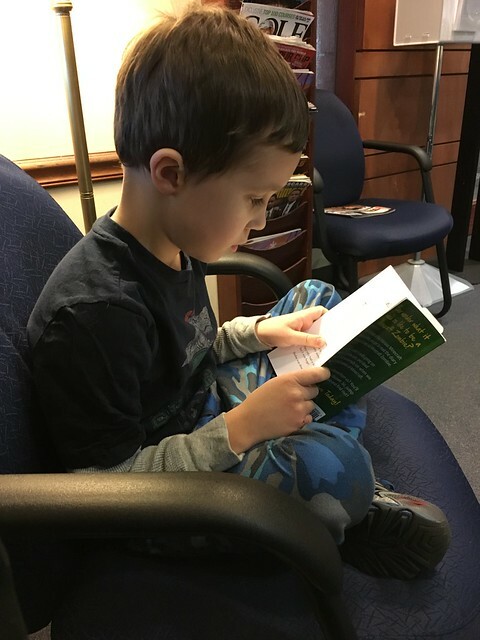 The new GI specialist we've been seeing has ordered some extra tests for Luke to try and figure out if he has an IBD. 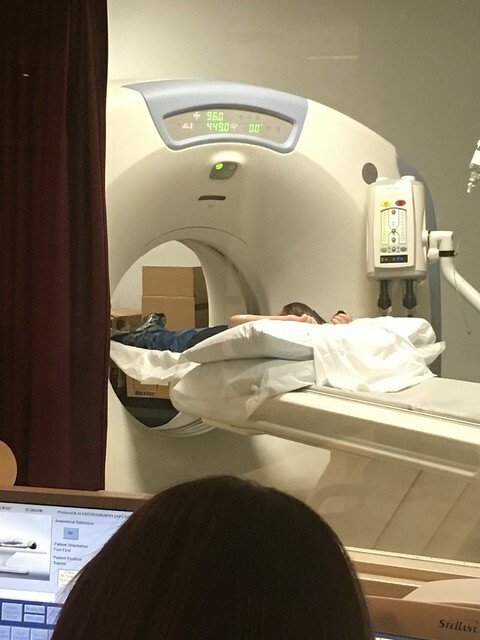 Apparently, in certain cases, you can see bowel inflammation on a CT scan. Luke and I went and had it taken care of yesterday. It was....one of the most awful experiences ever - for both of us. There was so much stress, no support (we were totally left alone and when things were going badly for us, we had no one to ask for help - we kept being told that the people we needed we're on lunch break and there was nothing we could do until they came back in an hour.) 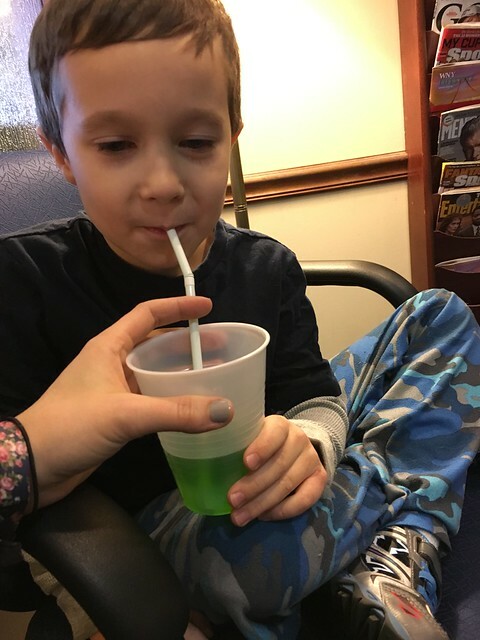 We were in and out of the bathroom, Luke was just...pouring tears and begging me to let him stop drinking the horrible barium drink he needed to finish before the scan. Not only did it taste horrible, but it was giving him horrible stomach cramps. Since I had no one to ask for help or advice, I had to keep forcing him to drink it - telling him that if he didn't finish it in time, we'd have to come back and do it all over again. It was awful. He almost threw up 3 or 4 times, and he could not get off the toilet. It was so terrible. When they prepped him for the CT scan, he was in good spirits simply because he was SO GLAD he was done with the drink. He didn't end up drinking enough of it, but they said that it should be enough to get a picture, so they went ahead with it. Neither of us knew if he'd be getting an IV, but at the last second they brought in the supplies for it, and placed that. He was a mess again - screaming and crying and begging for it to stop. They let me stay with him and coach him about being perfectly still until the last minute, and then they had me go out into the viewing area. When they started the IV, he started SCREAMING. Watching him struggle to stay completely still while screaming his head off in horror was maybe the worst experience of my life. He later told me that the fluid from the IV made him feel like his entire body was on fire. They told me afterwards that it's known to do that - not that knowing ahead of time would have changed anything. You can't even tell that he's screaming his head off....to his credit, he did a great job holding still...but it was really disturbing to see him holding still and screaming like that. Anyway, we are both SO GLAD that it's behind us, and ready to move on and get some answers!